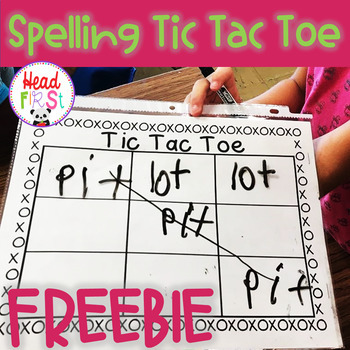 SIMPLE NO PREP INK-FRIENDLY Spelling Word Game. Each player picks a spelling word and takes turns writing it trying to get 3 in a row. Kids love it! Wipe it off and play again! How do I keep up with your new products? How do I get TPT credits to use on future purchases? Go to your My Purchases page. Beside each purchase you'll see a Provide Feedback button, click it and you will be taken to a page where you can leave a quick rating and a short comment about the product. Why is feedback so important? Each time you provide feedback, you’ll earn TPT credits that can be applied to future purchases to save you money! Plus, the feedback you provide helps me make my products better suit your needs!